Tamar Braxton and Kandi Buruss' Beef Explained — What Happened? Don't expect the new alliance between Tamar Braxton and Kandi Burruss in the Celebrity Big Brother house to run smoothly. 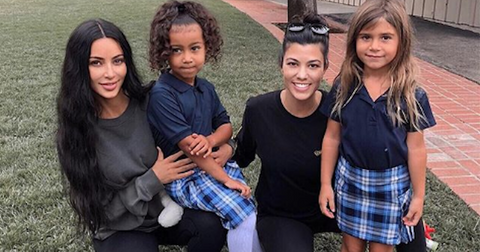 The Atlanta beauties were selected for the star-studded edition of the reality series, but it became pretty obvious right away that there is a long-standing beef between the two. After Tamar picked Kandi as her partner for the first Head of Household competition, to "extend an olive branch," she quickly regretted her decision. "I wanted people to at least know I was a contender," Tamar said on the show. "I ain't picking Kandi no more, I'll tell you that. She ain't invited." Kandi also opened up about her feud with Tamar, adding, "We've had our good times and we've had our bad times." 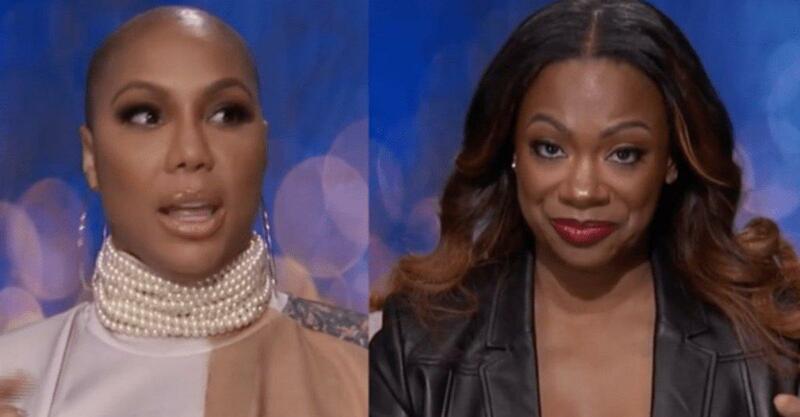 Now, Tamar and Kandi have joined forces with fellow houseguests Lolo Jones and Eva Marie — and it's tense, to say the least. So, what happened between Tamar and Kandi? "She just never really liked me like that," Tamar, 41, revealed during a confessional on the show. However, Kandi, 42, had a completely different story to explain the beef. According to the Real Housewife of Atlanta star, it all started when Tamar invited a guest on her tour, who said negative things about Kandi and her girl group, Xscape. "She also got upset once before then she was no longer part of the talk show," Kandi explained, referring to Tamar's firing from The Talk. "A few of us who are friends with her, we were all invited at different times to be guests on the show, and when we became guests on the show — co-hosting or whatever — she got upset with us and unfollowed all of us on social media." She continued, "So, that's what I mean, throughout our lives, there have been multiple times when we'll be cool, then she get mad, then she'll unfollow us, then she decide she be back cool, then she get mad and unfollow us." As expected, CBB viewers are hoping Tamar and Kandi can squash their beef and surprise everyone by working together — or at least create some new music. "Tamar and Kandi should use their time to make a hit. They can make money from big brother get more fans, while working on music on their spare time in the house," one viewer tweeted while another added, "I need Tamar and Kandi to be teamed up the rest of the season for literally everything go in an alliance together or something." Currently, Kandi is feuding with her RHOA co-star Porsha Williams, after she was kicked out of a party hosted by Kandi. "If you're being the aggressor, disrupting my party, I would think you would call me to say, 'You know what, I'm sorry that happened, whatever, whatever'," Kandi said, standing by her decision to kick her out. However, Porsha denied she did anything wrong, adding, "Her team kicked me out of her party and then put all this horrible stuff in the blogs." Her former The Talk co-hosts aside, Tamar has had beef with several celebrities on social media, including K. Michelle, whom Tamar called a "muppet." 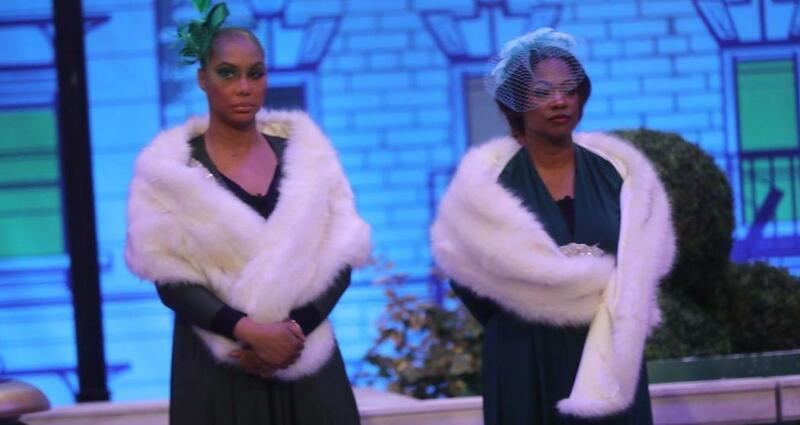 Whatever the case, both Tamar and Kandi have made it through the first week of the competition. Hopefully this feud doesn't interfere with their CBB strategy too much. Watch Celebrity Big Brother tonight at 8 p.m. EST on CBS.